Our company and partners are specialized in (international) real estate transactions and property management for private investors and real estate investment companies: acquisition and disposition, leasing and real estate management services. Erik Noordam is a International Realtor and associated with well known real estate companies active in real estate brokerage, appraising, insurance and property management in the Netherlands and in the USA. 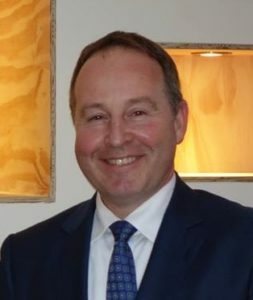 He is also licensed in Florida, a Certified International Property Specialist® and owner of Noordam Management B.V. As such he has been member of Florida Realtors®, the Amsterdam Real Estate Brokers'Association (Makelaarsvereniging Amsterdam), the local chapter of NVM, and FIABCI, the International Real Estate Federation. He has long been an international member of the National Association of Realtors® (NAR) and holds the FIREC - FIABCI International Real Estate Consultant Designation. Daily he deals with national and foreign real estate investors with varying investment property portfolio's. After his study of Marketing at the HES Amsterdam with International Management as a major he studied Financial Control (post-graduate), Commercial Property Management (post-graduate) and Real Estate Asset Management at the University of Amsterdam (Amsterdam School of Real Estate). He lived in the United States, Kenya, and Ecuador and travelled to more than 40 countries. He speaks Dutch, English, German and Spanish. Call for more information on our services: 020-7165673 (Netherlands) or (305) 709 0548 (USA), contact us for a meeting, or meet us at various events.